Blue Sky Financial Planning / Blue Sky Blogs / Guildford is the capital of the UK! Not what you were taught at school, is it? Mind you, I’m not sure whether I was ever told what the capital of the UK is. Why am I talking about Guilford? Apparently, it is the Inheritance tax capital of the UK! Yes, Guildford, although it was actually in West London where the highest IHT bills were paid in 2015-16. 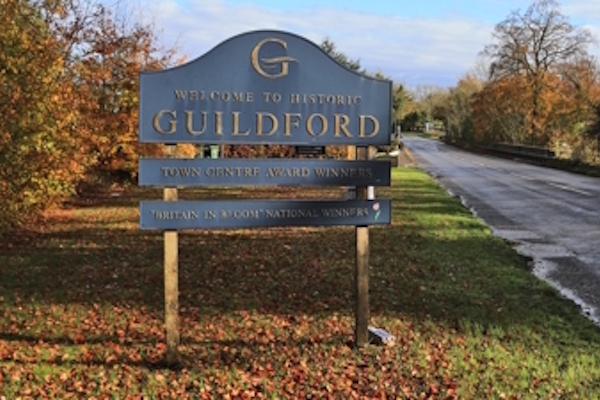 The claim to fame for Guilford in this respect, is that they had the highest number of families paying inheritance tax in the UK, according to Direct Line (reported on the BBC October 2018, after a Freedom of Information Request). Since April 2017, there has been an additional transferable Residential Nil Rate Band (RNRB) which gives extra tax relief for those passing property through inheritance to their descendants. This is on top of the nil rate band of £325,000. All this helps minimise potential inheritance tax but, where property prices are high, such tax is still paid by many people. It is being phased in over 4 years and the full £175,000 allowance will not be available until April 2020. The RNRB started at £100,000 and increases by £25,000 each tax year until 2020. The good news continues; the RNRB is transferrable between spouses and civil partners on death. 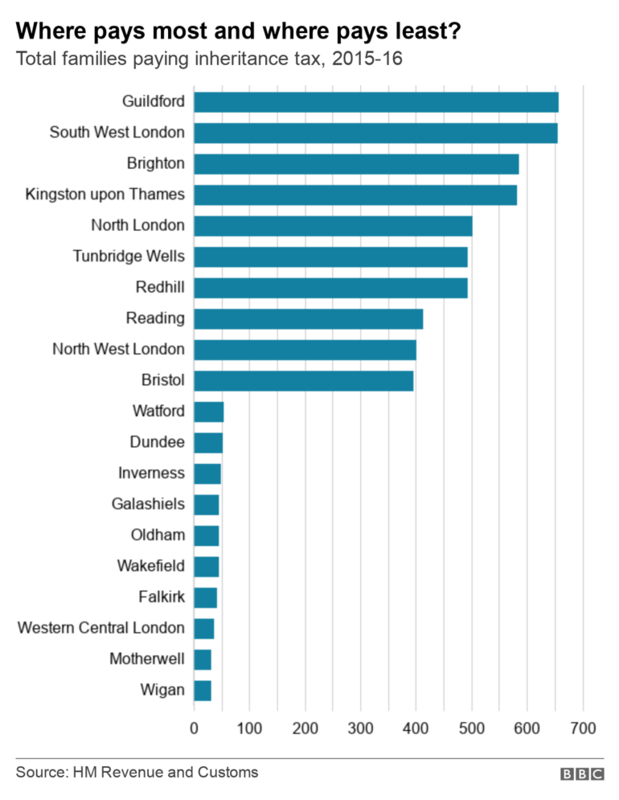 However, clients with large estates, like in Guildford and West London, may not see any benefit from this as the residential nil rate band is reduced by £1 for every £2 that the deceased’s net estate exceeds £2M. Yes, despite such allowances, for many estates, paying inheritance tax seems inevitable… or is it? In our capacity as Financial Planners, we are often encouraging our clients to make their loved ones happy by gifting part of their assets. Making a Will is prudent and placing money in Trust can be sensible but, when we ‘dig down’, many of our clients would really like to help loved ones, and give them a boost financially, much earlier in their lives. What’s more, seeing the difference their gifts can make brings much joy and fulfilment to those making the gift. The key is being able to gift with confidence, in the knowledge that if you gift you will not only be able to continue to meet your own needs but also cover all potential liabilities, such as care home fees. Some would say that inheritance tax allowances are penal, and others would say they are generous. What is for sure, is that inheritance tax receipts are rising. They hit a record high of £5.2 billion in 2017-2018, according to data from HM Revenue & Customs. 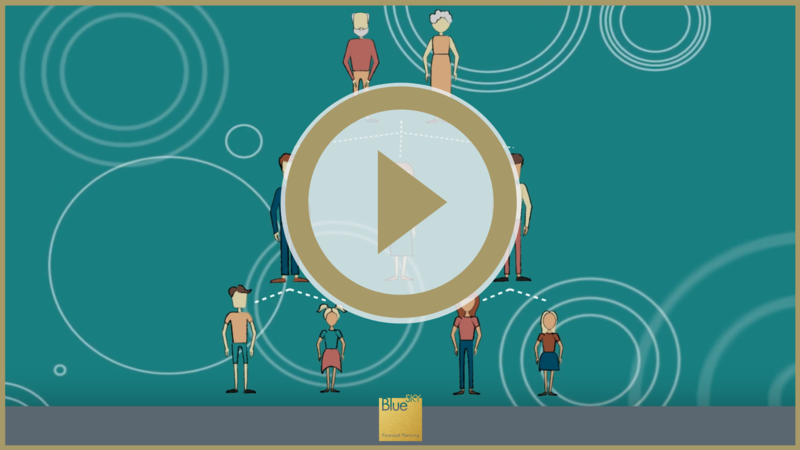 We have been working with several generations of the same family for years now, who individually have financial planning models in place, created by the team here at Blue Sky. Recently, we were able to transfer 15% of the parent’s wealth to the children, which in turn has led to them obtaining 40% and 30% income tax relief via their own planning. But, we have also started the clock ticking for the 7 year inheritance tax rule, potentially saving 40% on the gift. We also utilised business property relief rules meaning we don’t have to wait 7 years, but only 2 years for the assets to be excluded for IHT purposes. We have been talking to the parents for a number of years, but sadly ill health has sharpened the importance of this type of planning. Is it time to plan ahead for you and your family? Contact the Blue Sky team today. If you are interested in considering ways to reduce the potential inheritance tax on a family estate, have a look at our new video on Inheritance Tax and Estate Planning.